Santorini pop up and expanded search function Santorini pop up and expanded search function. Kavi Goel, a Google Search product manager explains how the new feature works on the official Google Inside Search blog. The screen-shot below reveals how these search additives look for the local user. As you can see, for fans, Google has once again come up with a winning search tool to speed things along. In another blog post, Google’s Product Manager Peter Linsley announces and describes a fascinating imagery tool. Designed for those who find it rewarding or faster to explore topics via imagery, Google now uses related search links in a far more effective and fun way. 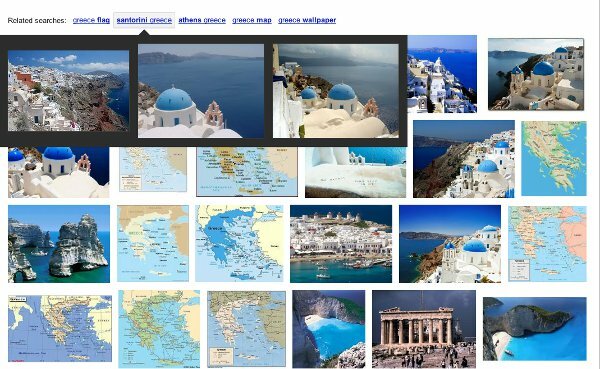 Applied to travel, for instance, using the new tool to look for Greece for instance, hovering over the top related links above your query result brings up an additional panel (Santorini in this case) – and ensuing drill down (search functionality). The screen below is from the Official Google Blog, as my Chrome is not yet updated to support this rollout (why Google’s biggest fan does not get this stuff first is a mystery still?). The implications here are not imminently obvious, but the ways in which Google users can utilize the search engine continue to be refined. 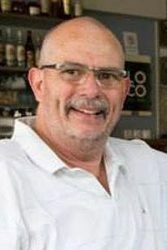 For travelers, Google Wallet, Android, Flight Search, Hotel Search, Zagat, and now core functionality all aim at the world’s greatest search device being the world’s greatest connectivity period. We will keep you updated on new developments.